Before I start I should mention that I have made no meaningful attempt to describe the numerous prehistoric landmarks that are dotted along the early stages of this route, instead I have included links to the excellent www.stone-circles.org.uk or www.megalithic.co.uk website, which gives a much more comprehensive description of each one. Similarly, with other points of interest, I have tried to provide the best links to delve deeper should you wish to do so. 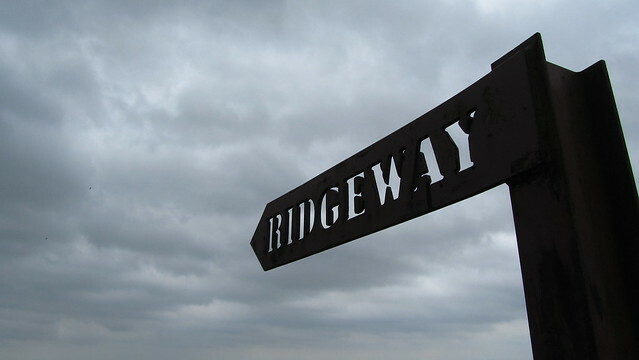 Why they picked Overton Hill as the terminus for the Ridgeway National Trail, I will never know. Sure, in ancient times, it had an impressive Neothilic Stone and Timber Circle, the remains of which are known as The Sanctuary, but honestly, given that the official start is essentially a non-descript car park on the opposite side of the very busy A4 and not well serviced by public transport, it seems an odd decision. 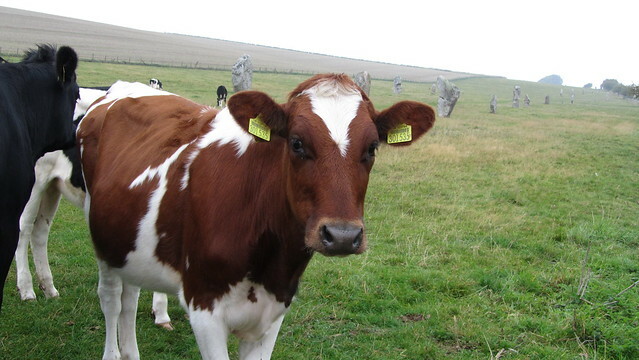 To the west, one and a half kilometres away, the fine village of Avebury, with its world renowned stone circle, would be a more obvious candidate, and why it wasn’t chosen baffles me! 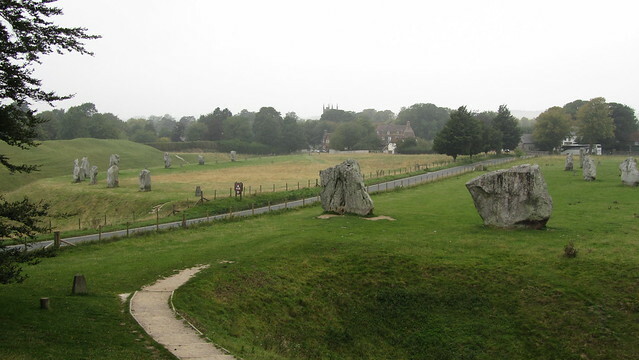 Whatever the reason, Avebury was where I was to start. I disembarked opposite the Red Lion public house, at about half past eight in the morning; the end of a two hour journey, by train and bus. With only a ten mile first leg, I had plenty of time to have a look around Avebury Stone Circle, the largest in the world. 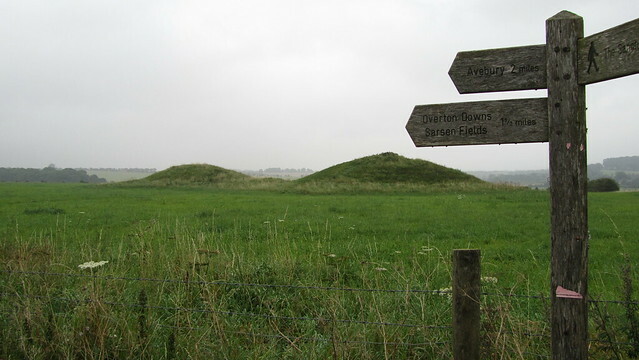 The whole area is littered with significant Neolithic and early Bronze Age, such as Silbury Hill, and the West Kennet Long Barrow. So to the walk; As I mentioned before, the official start is fairly insignificant. 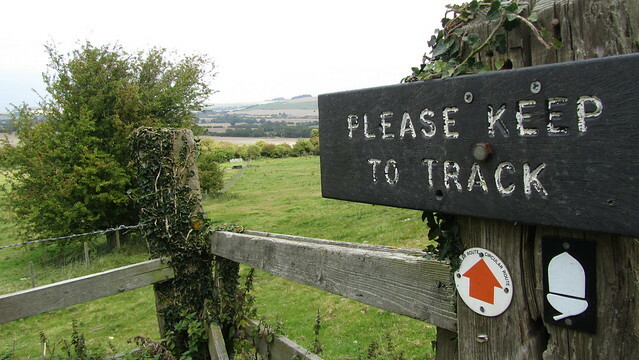 It is a much more auspicious departure to stride along the grand sarsen double stone row that is The West Kennet Avenue; you truly get the feeling you are embarking on an historic trail. After a kilometre and a half, I reached Overton Hill and the signpost that reminds me Ivinghoe Beacon is a daunting 87 miles away. To the right, there are more ancient remains, this time the Bronze Age Seorfon Barrows; already the wealth of pre-history is making the head spin! 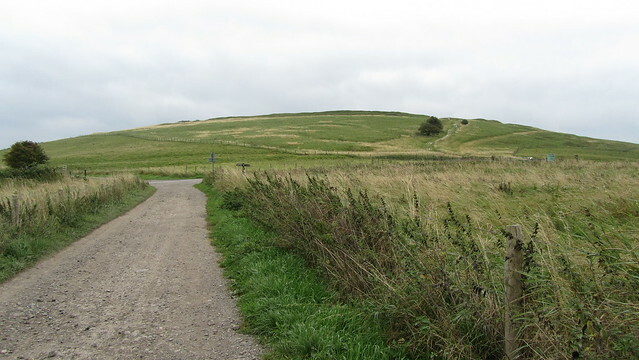 I took lunch at midday, at the Iron Age hill fort named Barbury Castle, the name derived from “Beran Byrig” which meant Bera’s Hill. Bera was a Saxon chief, who, in AD556, is reputed to have defeated the Britons here. It was here that I bumped into two guys and a girl heading the other way, but doing the 6 days across consecutive weekends. They had stayed at the place I was heading to and mentioned it now had a bunkhouse. With rain forecast tonight, that sounded a lot more inviting. 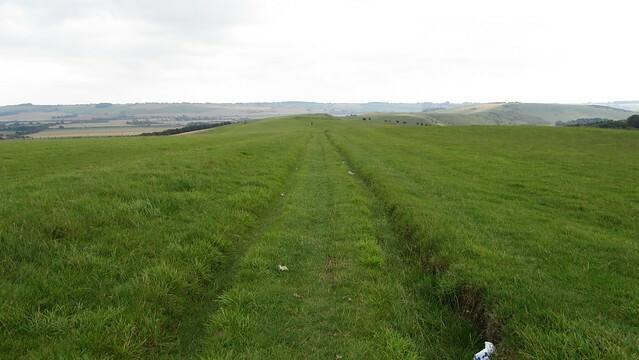 Instead of taking the recognised route of the ancient byway, which would be a road walk, the trail heads across Smeathies Ridge. It is the first taster of the big sky feel you get on the first half of the walk. It was a straightforward few hours ramble down into Ogbourne St. George, although I wasn’t fooled by a sign saying 0.5 miles; keeping to the trail proper, it was another forty five minutes before I entered the village from the south-eastern edge. Arrived at Fox Lynch farm about three in the afternoon and upgraded to the bunkhouse with breakfast for £20. Simple, but comfortable and warm, with shower, television, and kettle. Very happy with the ten and a half miles today, everything still in working order, no problems with feet. Later, I headed off to the “Inn with the Well”, the local pub, for a curry and a couple of real ales to celebrate. My name is Paul Buck. 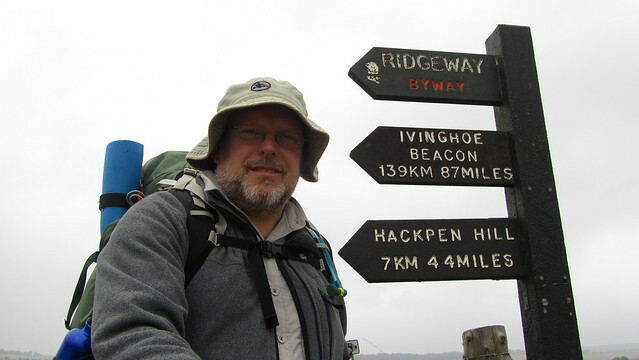 I am a backpacker, tor bagger, social hiker, Bibbulmun Track End to Ender, West Ham supporter and midge fodder. 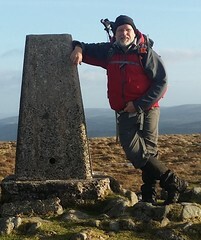 After visiting over 458 tors on Dartmoor, currently seeking out new ones. Paul Buck. Simple theme. Powered by Blogger.